09 de octubre de 2013 en 09:49 09Wed, 09 Oct 2013 09:49:16 +000016. Many of your points are right on target in terms of credit and equity contributing the most to rates available to prospective borrowers. However, your advice on how to compare rates among lenders needs a bit of revision. 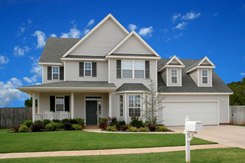 The generic term “closing costs” encompasses many fees not actually charged by the lender. As an industry, we’re tasked with making our best estimate of those fees charges by other parties (e.g., attorneys, title insurance companies, home owners’ insurance companies, local and state governments, etc.). Therefore, borrowers should not actually consider those fees when comparing lenders. Some of us (myself included) will use conservative estimates to quote fees higher than we anticipate so that the borrower will be prepared for a worst-case scenario. Others will greatly underestimate the fees in hopes of winning business from unwary shoppers. However, borrowers should compare fees actually charged by the lender (e.g., underwriting fee, origination fee, processing fee, or other similarly named items) and any points charged for a particular rate. They should also ask probing questions about these fees and get the “fine print” on offers of zero closing costs and the particulars involved in acquiring the benefit. Your advice should also warn borrowers that interest rates will change not only from day to day, but also from hour to hour. Mortgage interest rates are tied to the trading of mortgage-backed securities (MBSs) on the stock market. Therefore, if interest rate is the sole determining factor in choosing a lender, then borrowers should receive quotes from the lenders they’re shopping on the same day, at the very least, if not within the same hour. Moreover, I would hope your revised advice would mention the importance of listening to their trusted advisors, their REALTORS(R), who have developed relationships with lenders who have worked with their previous clients and have provided not only competitive rates but also outstanding service before, during, and after the sale has closed. 11 de octubre de 2013 en 12:58 12Fri, 11 Oct 2013 12:58:41 +000041. 11 de octubre de 2013 en 13:18 01Fri, 11 Oct 2013 13:18:33 +000033. Thanks so much for reading my article and sharing your thoughts. Patrick, thanks for pointing the vagueness in “closing costs,” you make a great point that they vary greatly and they aren’t directly related to the lender. By bringing them up I was trying to reiterate the idea that there are more fees to expect that borrowers should budget for. Stephen, I absolutely agree that a mortgage professional (and Patrick, a trusted realtor as well) are critical when purchasing a home and applying for loans, however, it would have been a very short article if I just advised readers to find a professional to do everything for them! Thanks again so much for taking the time to read my article and offer some excellent advice to readers.